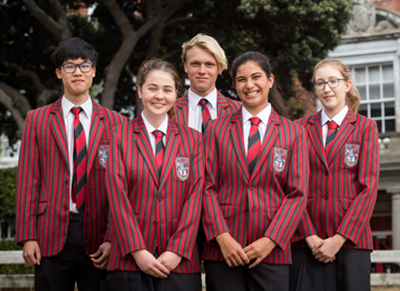 Our focus at Scots is a commitment to excellence in education and preparing students for their futures, to take their places in the wider community of men and women. From 2020 our Senior School is changing to become co-educational welcoming girls in Years 11 to 13. Co-education encourages collaboration and allows students to learn from one another intellectually and socially. This provides a foundation for realistic, meaningful and lasting adult relationships. This development comes after careful consideration to ensure we give students the social and educational skills they need to succeed in a rapidly changing work force. In these senior years we believe the quality of the school and its teaching is a larger factor in educational attainment. We will provide a safe and nurturing environment for all students and the opportunity for all students to realise their full potential with access to our rich resources, diverse curriculum and wide range of co-curricular activities. We are excited to be able to offer girls the same benefits a Scots education provides. An educational environment that realises each student’s potential through an individualised education. A curriculum that is broad, offers a strong STEM programme and is focussed on the skills to learn for life. A Future Pathways (Careers) Programme equipping students with the tools, confidence and support for their post-secondary pathways. An international focus that broadens each student’s horizons and encourages global citizens who think creatively, reason critically and communicate effectively. A broad range of co-curricular activities in the arts, sporting, service and leadership. Many of our staff have experience in co-educational environments and are well-equipped to lead us as we make this change. Our Headmaster Graeme Yule has had experience as a senior manager in an independent co-educational senior school. Scots College has a proud history of boarding and from 2020 girls too will join our Boarding House, Gibb House. To find out more on co-educational boarding at Scots please visit the boarding section of our website here.